Not only can you creep on your neighbors using your binoculars while hiding in a tree, but you can now attach the binoculars to your iPhone and see everything the binoculars would see through your phone's screen, and can then take pictures and/or videos of your victim subject. 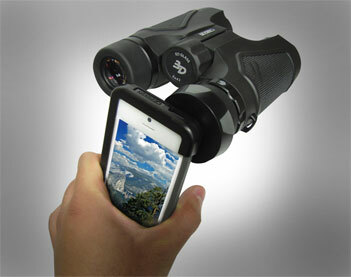 The iPhone binocular adapter fits over your iPhone like a case, and then connects to any set of binoculars you have by fitting over one of the eye pieces. 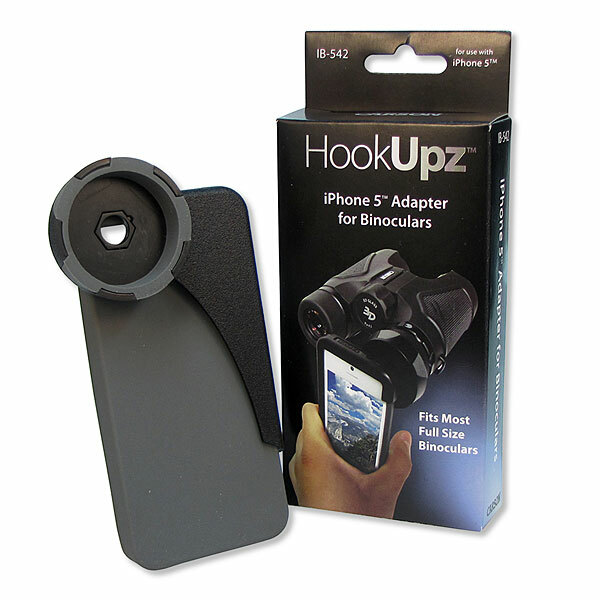 The iPhone Binoculars attachment mount is compatible with the iPhone 4, iPhone 4s, and the iPhone 5, and will fit over most full sized binoculars.